D 1-5) Go through the data set given below and solve the questions based on it. The pie chart shows the productions of different products in degree. 1) The production of Bovanto is what percentage more than the production of Fanta? 2) The production of maaza in the year 2017 is 20% more than the production in the year 2016, the production of Pepsi in the year 2017 is 30% more than the production in the year 2016, then what is the approximate Difference between the production of Pepsi and Maaza in the year 2016? 3) what is the Ratio of the production of Torina and Pepsi in the year 2017? 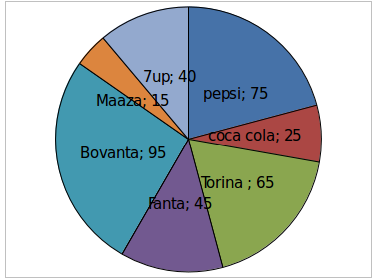 4) what is the total production of maaza, coca cola, Torina, Pepsi, and Fanta? 5) What is the difference between the production of Pepsi and coca cola? 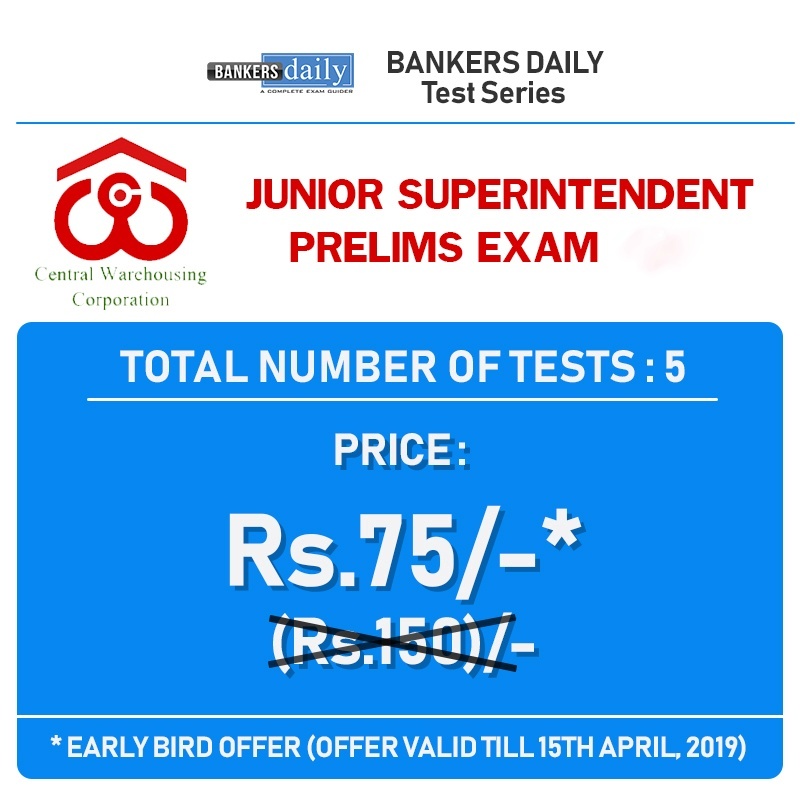 Required difference = 3375 – 1125 = 2250. D.6-10) Go through the data set given below and solve the questions based on it. 6) what is the total shipment cost of Ukraine and Vanuatu? 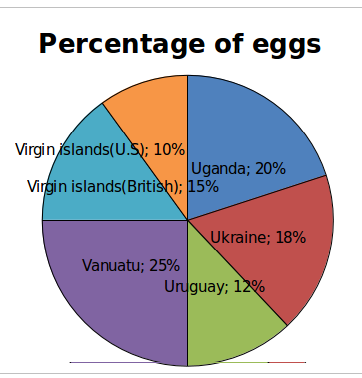 7) If the total shipment cost of Kenya is 20% more than total shipment cost of virgin islands(US) and the number of eggs export to Kenya is 50 % of the number of eggs export to Uruguay, then what is the approximate shipment cost of Kenya per egg (in Rs)? 8) what is the total shipment cost of Virgin Islands (British)? 9) what is the different between the total shipment cost of Uganda and the total shipment cost of Uruguay? 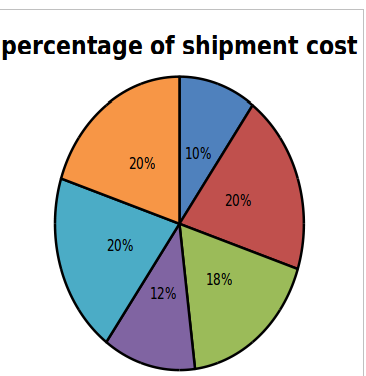 10) The total shipment cost of Vanuatu is what percentage more than the total shipment cost of Virgin Islands (U.S)?